Amritsar, Punjab (May 06, 2013): It is learnt that the producers of much discussed Punjabi movie ‘Sadda Haq’ are in the process of getting it dubbed in Hindi and English in order to make it accessible to a wider audience. 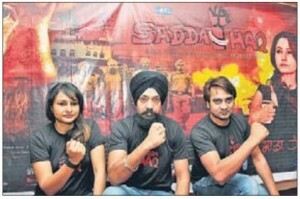 Sadda Haq is scheduled to hit cinemas screens across the India on May 10, 2013. As per information the dubbing of the movie has already started and is likely to be completed in a month. 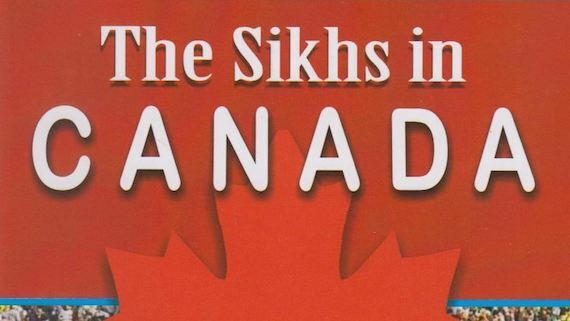 This movie is based on the true events of post-1984 to mid-1990s in Punjab. It depicts the untold story of those painful times. 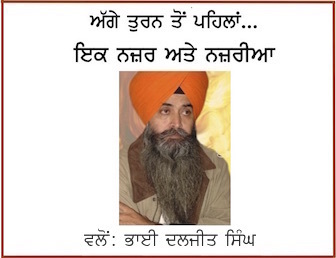 The movie was banned by Punjab government at the behest of high-ups in Punjab police and bureaucracy who had feared that the film could nail their black deeds as it shows that how Punjab police was indulged in mass atrocities and human rights violations against civilian Sikh population. The ban was later removed the Supreme Court of India on the recommendations of a committee that watched the movie in Court Room no. 15 on the directions of SCI. The film-makers reportedly held a press conference at Amritsar on May 05, 2013. “We got a lot of demand from overseas as well as different parts of India to dub the movie. The dubbing has already started and the DVD rights and satellite rights for the film will be given in both these languages. The translated version may also be screened in a few cinema halls,” Kuljinder Sidhu producer of the movie declared during the press conference. According to Hindustan Times (HT): Kuljinder Sidhu added that “[a]lthough the filmmakers had to face a harrowing time in the last few months to make sure that their film reaches the audience, the flip side of this entire controversy was that an immense buzz was created for the film among people across the globe”. “At times, film makers try to create a controversy prior to the release of a film. But in our case, the controversy came about. I cannot deny that it did not help generate more interest among the audiences,” he reportedly added further. Kuljinder Sidhu informed his film was a success in Mumbai and was the biggest Punjabi film in terms of gross collections in UK and US. “As many as 70 prints of the film are confirmed and we are trying to release the film with 100 prints,” said Nidhi Sidhu, film’s co-producer.